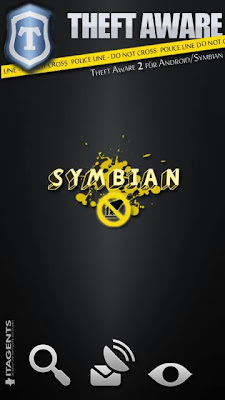 Theft Aware 2.0 is a anti theft software for Nokia N8 and other Symbian^3 devices. 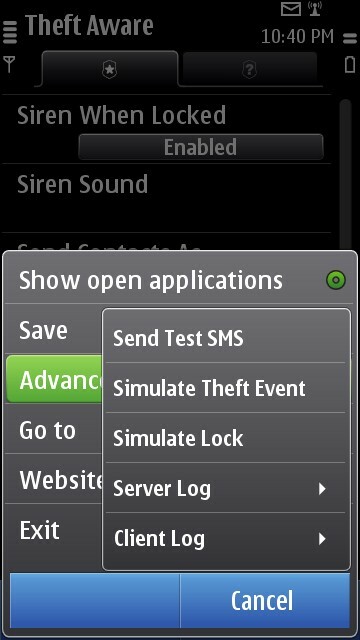 Like any other anti theft application, Theft Aware allows you to take control of your stolen phone remotely via SMS and web based interface. 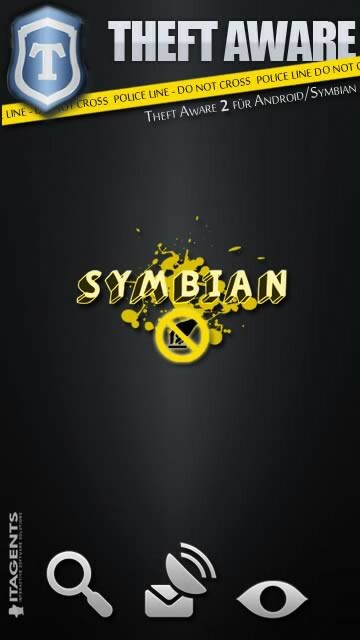 However, there are a number of features in this application that makes it superior than any other similar application. 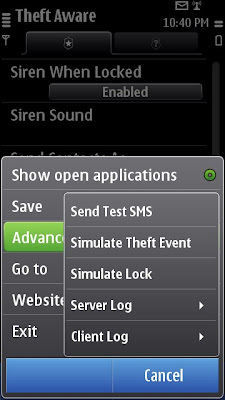 Theft Aware comes with a stealth mode which removes every trace of the application on the phone which means the bad guy won't get to know that the phone has an anti theft application loaded. I have personally verified this and the application does not appear in the App Manager as well which is amazing. Now, you will wonder as to how do you re-launch this application for any configuration changes. Simply, dial the numeric password using the dialer and call, the application will launch. 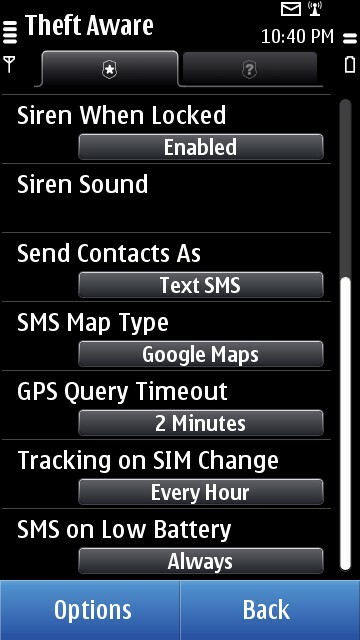 This application allows you to set two notification numbers that will get notified if the phone is stolen. 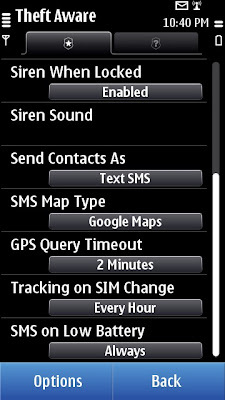 The notification SMS contains the GPS co-ordinates, Network details and of-course the thief's mobile number. 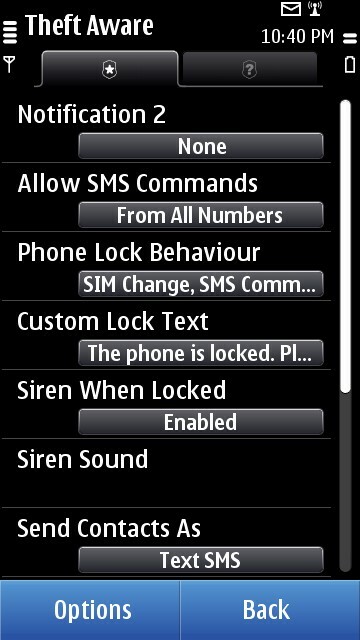 Remote controlling of the phone using SMS is very elaborate and lets you perform a large number of functions. 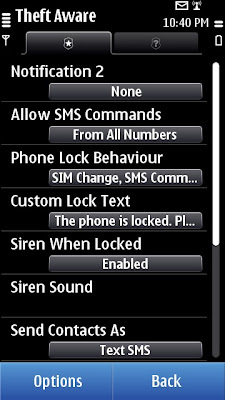 Apart from wiping, locking, activating siren on your phone, you can get call logs from the phone. You can initiate an automatic call to your notification phone number using a SMS command and the best part is that the initiated call will remain hidden from the thief which means it would initiate in the background. You can instruct the application remotely to send notifications continuously at regular intervals so that you can track the movement of the thief.